Plans for an electricity substation have been approved. Contentious plans for a new electricity substation outside a north-east village have taken a step forward. The proposals, from Scottish Hydro Electric Transmission (SHET), are for an area of land to the west of Wood of Middleton. The development, near Rothienorman, consists of a platform area, control building, plant and infrastructure, ancillary facilities, access track and additional landscape work including a SUDS pond. It is part of a wider plan to increase capacity between Blairhillock and Peterhead. The energy company has permission to build the substation, but some changes have been made to the layout – which means a new planning application must now go before Aberdeenshire Council. Although a decision has still to be made on the application, the authority’s planning department has now approved five new towers which will help connect the new substation to the wider network. A pre-determination hearing was held with reference to the plans in October where opponents of the scheme were able to address councillors. Resident David Smith argued that the pond, designed to prevent flooding, would be just feet away from his home and could contaminate his water supply. Mr Smith said he feared the site would be diverting “at least 50%” of his own ground water supply and that his home’s bore hole would “dry up”. 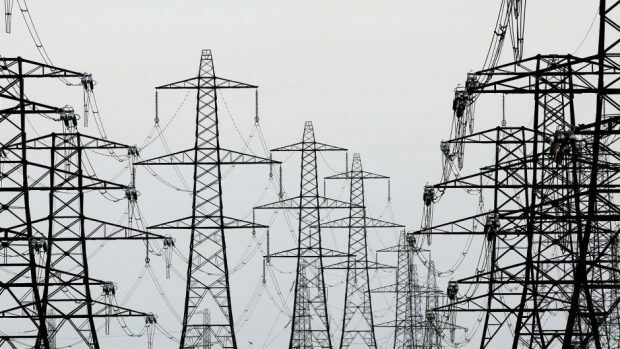 He also accused SHET, part of Scottish and Southern Energy Networks, of “blatantly” disregarding his concerns, but the firm has stressed no private water supplies will be impacted by the substation. Meanwhile, the Garioch area committee was also asked to consider the proposals at a meeting last month, and members raised concerns about the potential for flooding caused by the drainage pond. Councillors also asked the developer to ensure that, as far as possible, construction traffic arrived at the site from the west. SHET is expanding the network across Aberdeenshire, with plans also submitted for a new substation in Peterhead. A decision on the new facility will be made by full council on January 19.